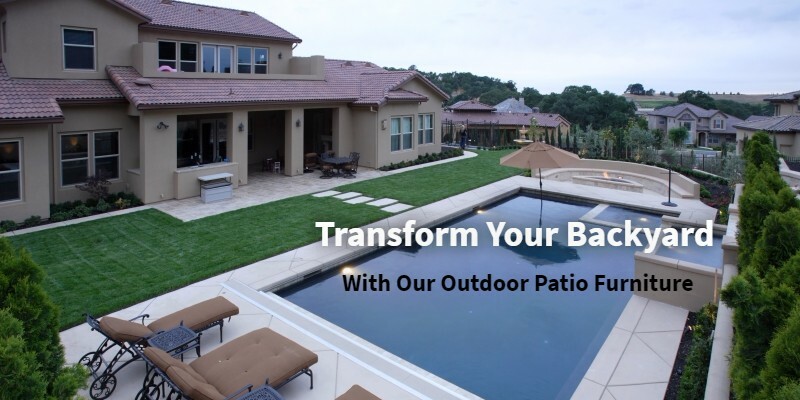 This summer, would you like to turn your patio into a truly inviting space that feels like an outdoor living room? At Spa Hearth & Home in Maple Shade, we can help you. 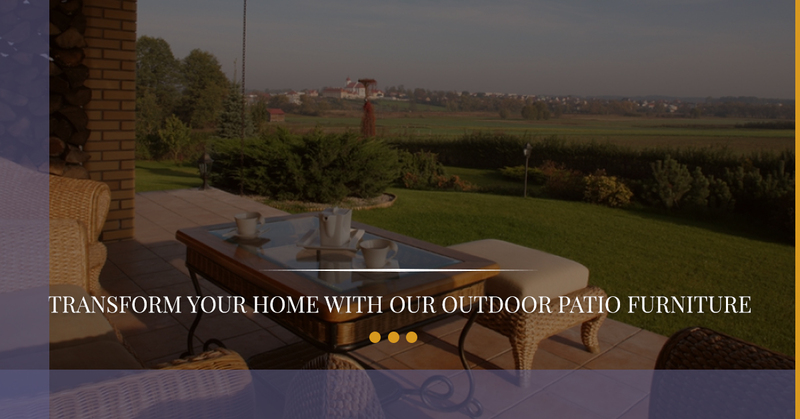 You may not know that our specialty is turning a plain backyard into an outdoor oasis, an area where you can escape the stresses of your everyday life. We sell a variety of different outdoor patio furniture to make your backyard your new favorite hangout spot. Today, we would like to provide some tips for transforming your outdoor area into a magical sanctuary. As far as outdoor furniture goes, you will need to start with some chairs. For those of you who like a softer look, we have a wide selection in wicker patio furniture in a variety of different colors to add comfort to your patio. Sit out on the patio reading a book or enjoying a glass of wine (or both) in a chair that’s as beautiful as it is comfortable. Depending on the size of your patio, you might be able to add more furniture to your outdoor area. Our outdoor furniture store in Maple Shade includes every type of furniture piece that you can think of. We have love seats, ottomans, side tables, coffee tables, couches, and even sectionals built specifically for outdoor use. You can create an outdoor living space that’s just as homey and comfortable as your indoor living room. As we approach fall, you may notice that nights and mornings feel slightly cooler, with a crisp chill in the air. If you are worried that you won’t be able to entertain in your backyard anymore, you can rest easy. We sell fire tables, which are basically coffee tables with a centerpiece where you can burn a small fire. This way, you can keep your guests warm as you entertain. If you have kids, you could even roast marshmallows together over the fire and make delicious s’mores. If you would like to step up your outdoor setup even further, you could invest in an outdoor fireplace. Featuring several low-maintenance gas fireplaces, our furniture store could provide you with access to your patio all year long. Since it’s still summer, it’s a good idea to beat the heat underneath the shade of a cantilever umbrella, crank lift umbrella, or push-button tilt umbrella. You could place your cantilever umbrella by your table to provide you with shade as you feast on a delicious lunch. Perhaps you would rather keep the umbrella over your favorite lounge chair as you read a book or nap. If you buy an auto tilt umbrella, you can change the tilt depending on the angle of the sun so that you never have to worry about getting sunburnt. These are only a few suggestions for creating your ideal outdoor space. To really brainstorm and get your creative juices flowing, visit Spa Hearth & Home today to view our showroom. Located in Maple Shade, our outdoor furniture store includes everything you need to make your patio dreams come true.